If you haven't seen it, you simply must. It's one of the best commercials we've seen in a long time. Although, because it is so funny, we had to watch it a couple times before we knew which brand was behind it. 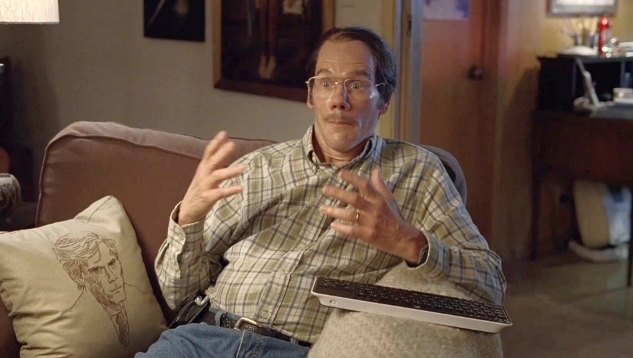 In the commercial (for Logitech), Kevin Bacon plays his biggest fan. And he nails it. Perfectly. As in fall over laughing perfect. Created by Goodby Silverstein & Partners, the commercial has Bacon obsessing over himself amidst a room full of Kevin Bacon paraphernalia anf, of course, a collection of Bacon's best works on the Logitech box. And let's not forget Bacon's hairstyles throughout the decades.